Christopher Wilkinson uncovers a fascinating and unexplored side of American musical and social history in this richly detailed account of Don Albert's musical career and the multicultural forces that influenced it. Albert was born Albert Dominque in New Orleans in 1908. Wilkinson discusses his musical education in the Creole community of New Orleans and the fusion of New Orleans jazz and the Texas blues styles in the later 1920s during his tenure with Troy Floyd's Orchestra of Gold. He documents the founding of Albert's own band in San Antonio, its tours through twenty-four states during the 1930s, its recordings, and its significant reputation within the African American community. 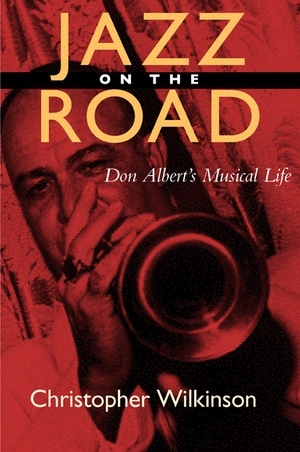 In addition to providing a vivid account of life on the road and imparting new insight into the daily existence of working musicians, this book illustrates how the fundamental issue of race influenced Albert's life, as well as the music of the era. Albert's years as a San Antonio nightclub owner in the 1940s and 1950s saw the rise in popularity of rhythm and blues and the decline of interest in jazz. There was also increasing racial animosity, which Albert resisted by the successful legal defense of his right to operate an integrated establishment in 1951. In the two decades before his death in 1980, his performances in Dixieland jazz bands and interviews with oral historians concerning his own career were the fitting climax to a multifaceted musical life. Albert's voice and personality, his feelings and opinions about the music he loved, and the obstacles he faced in performing and promoting it, are artfully conveyed in Wilkinson's fluid, accessible, and erudite narrative. Jazz on the Road shows the importance of live performance in bringing jazz to America, and succeeds brilliantly in depicting an era, a locale, and a way of life. Christopher Wilkinson is Associate Professor in the Division of Music at the College of Creative Arts at West Virginia University.